Woodnut (Josh Schell) is uncomfortably intrigued by the child Iris (Carmen Steele) in “The Nether,” a virtual world designed to appeal to pedophiles. This fascinating, disturbing, even distressing play will certainly creep you out while exerting its fascination. Papa has created an online world for pedophiles. Papa claims that nobody is hurt, and that the online world provides a safe space for people to act out fantasies without consequences or harm. Is that really possible? You may be ambivalent about trigger warnings, but it probably isn’t a bad idea in this instance. If you have doubts about seeing this subject handled onstage, consider carefully before attending. “The Nether” is set in a not-too-distant future in which most people spend most of their lives on the internet. (For some communities, that future is now.) Anybody can set up a virtual world within “The Nether” — in fact, most people, we learn, receive their entire educations there. This is very disturbing stuff. The acting is superb. Nina Ball’s sets are astonishing: we fully inhabit the virtual world of “The Nether” and the scenes shift from one setting to another as seamlessly as they would on a computer screen. But what are we really seeing? Who is who? Are we dealing with imaginary characters or real people? Are there real world consequences for online interactions? Is it possible to act immorally in the virtual world? Who gets hurt? Is anonymity a right in these contexts? “The Nether” will make you squirm. 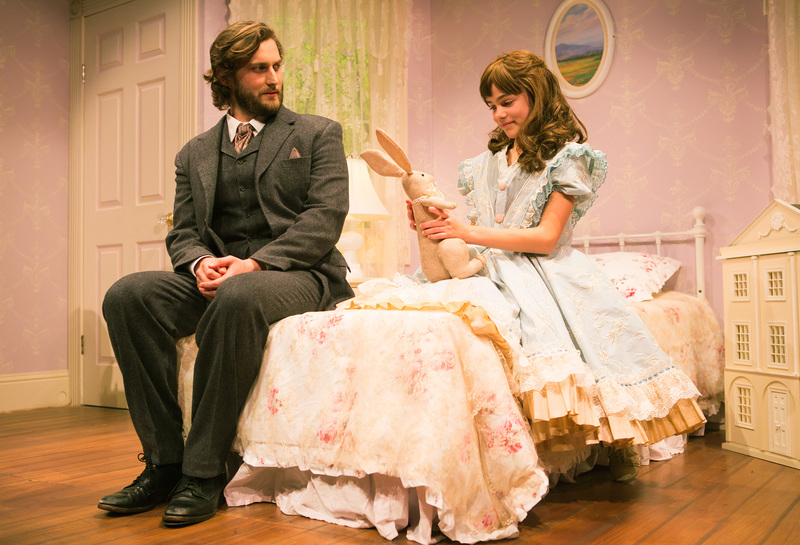 “The Nether” continues at SF Playhouse through March 5, 2016. For further information, click here. “The Nether” by Jennifer Haley. Produced by San Francisco Playhouse. Director: Bill English. Set: Nina Ball. Props: Jacquelyn Scott. Lighting: Michael Oesch. Sound: Theodore J. H. Hulsker. Costumes: Brooke Jennings. Iris: Matilda Holtz & Carmen Steele (alternating). Sims: Warren David Keith. Doyle: Louis Parnell. Morris: Ruibo Quian. Woodnut: Josh Schell. Posted in Reviews.Tagged Bill English, Carmen Steele, Charles Kruger, Jennifer Haley, Josh Schell, Nina Ball, San Francisco bay area theater reviews, San Francisco Playhouse, The Nether, theatrestorm.